Children are better at retaining information than adults – but why? It’s because your brain reaches its peak performance between the ages of 15 and 16, before your cognitive function starts to decline. It’s not all bad news though. You can actually halt and even reverse this decline through working-out your brain just like you would your body through exercise. Our brains are constantly changing and adapting according to our experiences (a process called neuroplasticity). “If we could target specific types of skills and cognitive processes, then we could teach our brains to be better at, well, anything,” reasons The Guardian. It has a lot to do with sleep. Research has shown that when we sleep, our brains carry out a kind of ‘rehearsal’ of what we learned during the day. When we learn something, our brain triggers millions of nerve cells (neurones) in certain patterns, and when we sleep, our brain ‘replays’ these same patterns. This replaying is what reinforces our memories overnight. The research has also indicated that this restorative stage of sleep plays a vital role in consolidating new information learned during the day – the ‘replaying’ of information helps you memorise things and transfer information from short term to long term memory. Every night your body experiences a ‘sleep cycle’ of five different stages, which repeat throughout the night. One cycle takes about 90-110 minutes. Stage One – You are on the edge of sleep, where it’s easy to wake up. Ever experienced a jolt like you’re falling when you’re first getting to sleep? That’s this stage. Stage Two – You are in a light sleep, your heart rate has slowed and your body temperature has fallen. The next stages are the most important ones for brain power. Stage Three and Four – You are in a deep sleep, where it’s hard to be woken up, and you would feel disorientated for a few minutes if you did. Stage Five – This is called REM (Rapid Eye Movement) sleep, where you are more likely to dream. It happens after about the first 90 minutes of sleep, and gets longer and longer each cycle. This is where your brain is most active (hence the dreaming) and also when energy is given to your brain and body, which supports your daytime performance. The best way to improve the function of your brain is to get to the later stages of the sleep cycle every night, by increasing the quality and length of your shut-eye. Lumosity – This app lets you choose which function of your brain you want to develop (memory, attention, problem solving, processing speed or flexibility of thinking) and delivers a tailored brain-exercise programme for you to work through. 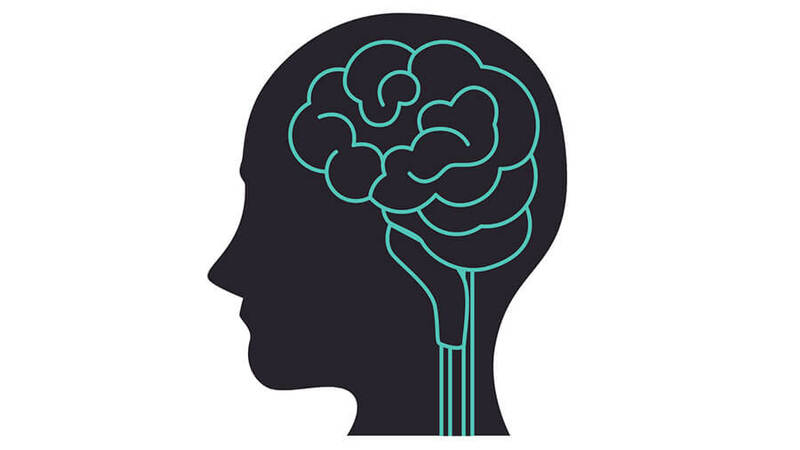 CogniFit Brain Fitness – Designed by neuroscientists, this app gives you an initial quiz to benchmark where you reside on the scale of several brain function areas, and uses the results to recommend different training exercises. It also helps you learn about different aspects of brain health. Eidetic – This app uses information relevant to your real life to help improve your memory, such as quotes you like, interesting facts, even your phone number or bank details. The app takes you through ‘spaced repetition’ exercises and tests you over time to help you retain information. Studies have shown that regular exercise can actually improve your memory and slow memory decline in older adults, including preventing Alzheimer’s disease. This is because it increases blood flow to areas of the brain that help memory performance, in particular spatial memory, and improves overall cognitive health. If your first thought was ‘meditation is not for me’ you may want to reconsider. You can vastly improve your working memory (the part that helps you remember people’s names, addresses, shopping lists and all the other details you need to remember in your daily life). Think of it as your brain’s notepad. It can make your life a lot easier if you have a strong working memory and meditation can strengthen it. Research has indicated that even first-time meditators can improve their working memory in just eight weeks. Try an app like headspace to get started with just a few minutes of guided meditation a day.